Buzzweld 1 Tinned. The only top coat you need. 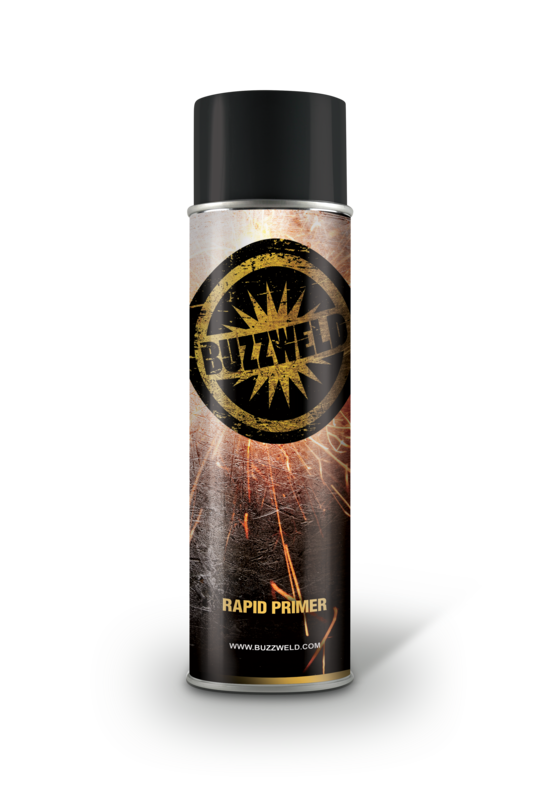 Buzzweld 1 is our latest development in coating technology. Resilient, a choice of colours and finishes, Glass Flake as standard and a high build, with quick drying times means B1 is useful for everything from chassis and suspension protection, to full vehicle resprays, and protecting bumpers and interiors. Truly Universal. This aerosol has a low texture, tough and resilient, whislt being economical with your bank balance. Customise your aerosol with added texture. To help with masking poor finish, to giving a more rugged pronounced look, the texture adds profile to the coating, and gives a really appealing even texture without blotches. Choose from a HUGE range of colours using our industry leading Quora Tint that gives you vivid tints you simply can't get from a standard paint. Take any colour you want and bump it up. From a subtle fine metallic, to a coarse flake that will change the tone according to light. We can even add this to existing non metallic colours, however the tone and base colour will change so please be aware of this when ordering. i.e. don't attempt to colour match a metallic modified colour to a non metallic. It will be close, but not perfect. We will build your aerosol using our Re enforced resin which gives you improved abrasion resistance and damage mitigation makiing the product harder and more durable. This product will adhere to most prepared paint surfaces, ontop of Rust Encapsulator when protecting steel, and acid etch when adhering to bare aluminium. It can also be used over Etch In One for panels.